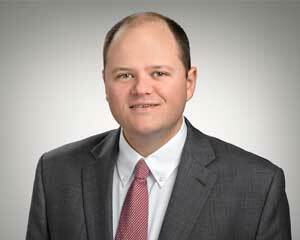 J. Tyler Lee, Jr., a shareholder with McWhirter, Bellinger & Associates, P.A., joined the firm in early 2008. He primarily works in the Columbia office and practices in the areas of automobile accidents, workers’ compensation, premises liability, wrongful death, and all forms of personal injury. He received his B.A. from the University of South Carolina in 2003, and his J.D. from the University of South Carolina School of Law in 2006. During law school, Mr. Lee was a student member of the Association of Trial Lawyers of America and the South Carolina Trial Lawyers’ Association. Following law school, Mr. Lee served as law clerk to the Honorable James E. Lockemy, Circuit Court Judge for the Fourth Judicial Circuit, and served as an assistant attorney general with the South Carolina Attorney General’s Office, where he was a prosecutor in the areas of Internet crimes against children and violence against women. Mr. Lee was admitted to the South Carolina Bar in 2006. He is a member of the South Carolina Bar Association, the American Association for Justice, and the South Carolina Association for Justice. He currently is the President of Injured Workers Advocates. Mr. Lee has served as an instructor with the South Carolina Bar Law School for Non-Lawyers program, and as a guest lecturer in several continuing legal education seminars.